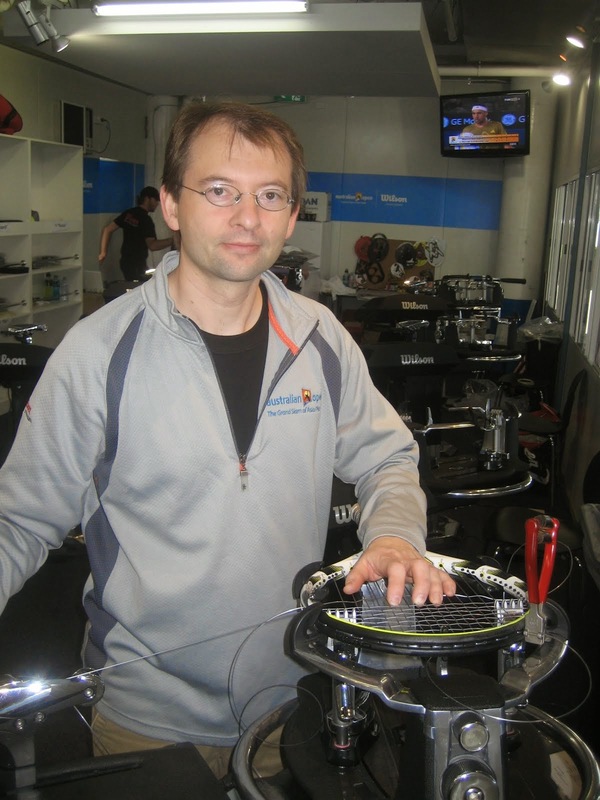 5 ideas to jump start your racket stringing business NOW! Here are a few quick tips to Jump start your stringing business NOW and you can apply these ideas to a traditional tennisshop, proshop or a part-time home stringing business. Check out a few of my ideas here to help you bring in more business. Take charge of your business today and promote yourself. 1. Advertise. With technology at our fingertips and access to media constantly, there are some ways you can utilize it NOW! www.Craigslist.org is an excellent way to drive local traffic. You will need to get a free craigslist account and post a listing under sporting goods. If you have a picture of your machine and some strings or a picture of you stringing a racket include this in your posting as well. If you know HTML than you can add some creativity and design to your listing. Try to post on Craigslist once a week. You can also pay for a listing under business or service section as well. 2. Join the Trade Association. Join the United States Racket Stringers Association (USRSA). This will allow you discounts at some retailers and wholesales for better product pricing and will add some credibility as well. They will also post your business information on the website. 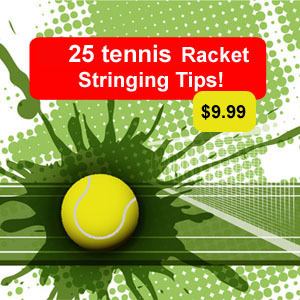 This is a great advertising tool as well, people often search here for racket stringers if they don't have one. 3. Get a part time job at the local tennis club, work customer service or at the front desk, this is an excellent way to get to know tennis players in your area and start 'talking' up your business. 4. Play alot of tennis. This should be an easy one, but it works well. Be seen at the public parks- drop off your business card, flyers about your stringing. Join a USTA league, its a great way to network your stringing service to the tennis community. 5. Direct mail. No need to buy a mailing list or advertise in newspapers with this idea. You can visit the USTA website or find out the draw for a local tennis tournament, get the names of those playing and look up their addresses online at www.yellowpages.com and send out a direct mailer postcard regarding your stringing services.